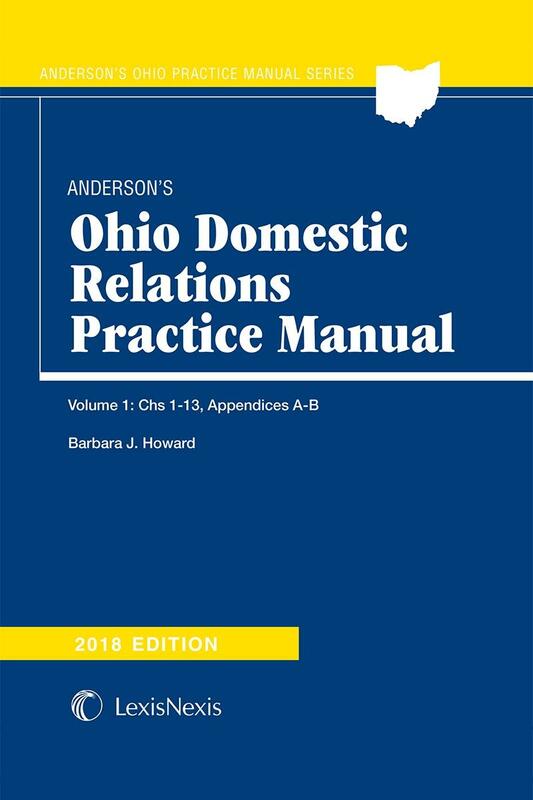 Written for the legal professional whose practice includes domestic relations cases, this detailed manual leads the attorney step-by-step through a divorce or dissolution proceeding. 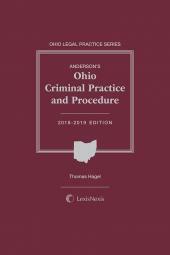 Written for the legal professional whose practice includes domestic relations cases, this detailed manual leads the attorney step-by-step through a divorce or dissolution proceeding. 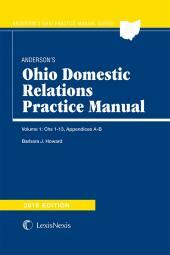 In a convenient softcover format, Anderson's Ohio Domestic Relations Practice Manual provides practical advice, as well as drafting suggestions for applicable forms. References are made to representative local rules and official forms as they apply to specific steps and issues. 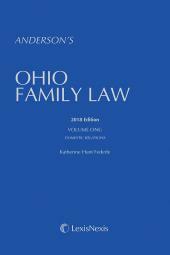 Focusing on the issues, questions, and problems that commonly arise in typical divorce or dissolution cases, this guidebook provides detailed coverage of special issues of current interest such as custody (allocation of parental rights and responsibilities), spousal and child support, and health care. Common post-decree matters such as modification of support or custody are also considered, as well as issues relating to the validity and enforcement of antenuptial agreements. 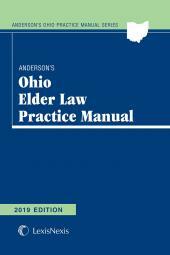 Barbara J. Howard is the managing partner of Barbara J. Howard Co., L.P.A,, Attorneys at Law, in Cincinnati, Ohio.